April 2008 sees the release of an interesting book, with a chapter devoted to The Prisoner and Danger Man. 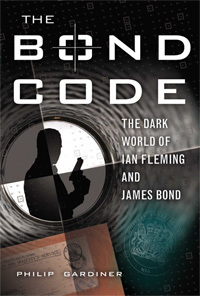 "The Bond Code - The dark World of Ian Fleming and James Bond" by Philip Gardiner describes how Ian Fleming and his associations with the world of the occult actually led him to create a masterful series of clever clues, ciphers and codes within his novels. Bond's influence on The Prisoner and Danger Man is included in the book, published by New Page Books, as is a mention of McGoohan turning down the role of Bond. For a review of the book, click HERE. A copy of the book will be raffled at PM2008. With thanks to Michael Pralin for the review book.